Let’s have a quick discussion about Danny Rand, AKA, Marvel’s Iron Fist. Danny Rand is a little bit of Batman, and a little bit of Daredevil. Like Batman, he is a billionaire orphaned at an early age. His parents had been friendly with a secret realm that’s basically a Shangri La variant. During one family trip there, his parents were killed, leaving young Danny to live among mystical monks and magical martial artists. He is trained, and when he’s old enough, goes back to the United States with the power of The Iron Fist, which is the ability to focus his chi to such a point that he can make any part of his body as solid as iron. Of course, Rand even having this ability paints a target on his back for the mystical magical tour of killer ninjas, et al. So expect the Hand to make an appearance once more. I will note for the record that Danny Rand would, at one point, team up with Luke Cage as “Heroes for Hire,” making the concept of a super powered PMC viable before there were PMCs. It has been seen by some as the merging of Hong Kong action films with Blaxploitation movies, which, at the time, were usually paired as double features. I say this specifically to highlight that, if you thought the stunt work and fight choreography of Daredevil was impressive, I suspect that this will blow that away. Also, for the record, if you pay close attention to the trailer, you can see Daredevil‘s Madam Gao, the drug dealer who had been working with Kingpin in Season 1, and made a brief appearance in season 2. As I said, I do expect the Hand to show up. Why? Because I can’t really tell you any other villains in Iron Fist’s rogues gallery, and if you say “Martial artist bad guys in the Marvel universe,” the only thing that comes to mind is either Silver Samurai, or The Hand. Of course, this leads us to The Defenders, which is supposed to take place after Iron Fist in the Marvel NetFlix arc. That should be interesting. 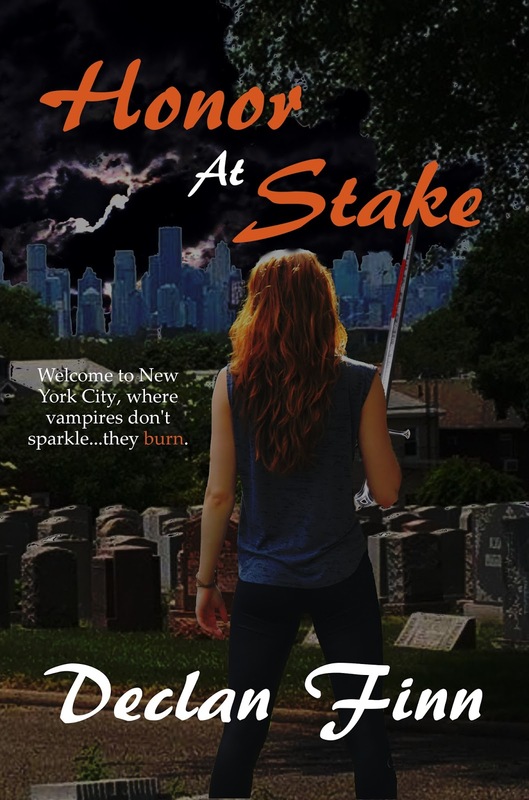 And, while you’re waiting for that one, you might want to check out my Sad Puppy and Dragon Award Nominated Novel Honor at Stake by clicking this link. This entry was posted in Analysis, Fiction, News, Superhero and tagged AKA Jessica Jones, Daredevil, Iron Fist, Jessica Jones, Luke Cage, Marvel, Marvel Cinematic Universe, Marvel Comics, Netflix, The Defenders. Bookmark the permalink.